What happens when you combine Blade with I Am Legend? You get another science fiction actioner for another prominent African-American actor, Mr. Denzel Washington. The million-dollar question is, is it any good? 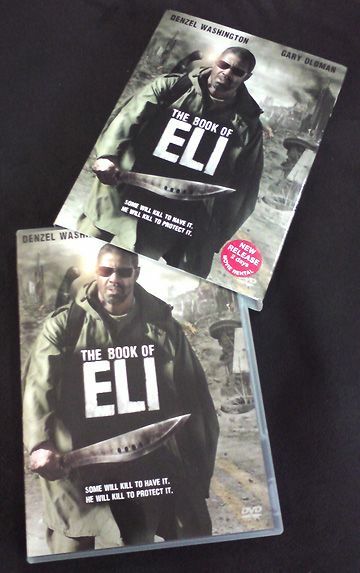 For a sci-fi actioner based on no existing franchise, The Book of Eli exceeds general expectations. Set in a futuristic post-apocalyptic world (Which movie world nowadays isn't? ), the movie follows seasoned survivalist Eli on his spiritual quest to deliver a mysterious book to an undisclosed location and person. Seems that an implied recent nuclear holocaust has reduced the world into a barren, brutal wasteland. The survivors no longer have the luxury of civility and humanity when even the basic necessities of life are scarce. As dictated by the requirements of the genre, Eli is of course gifted in the murder arts, which conveniently explains his longevity in such a ruthless environment. 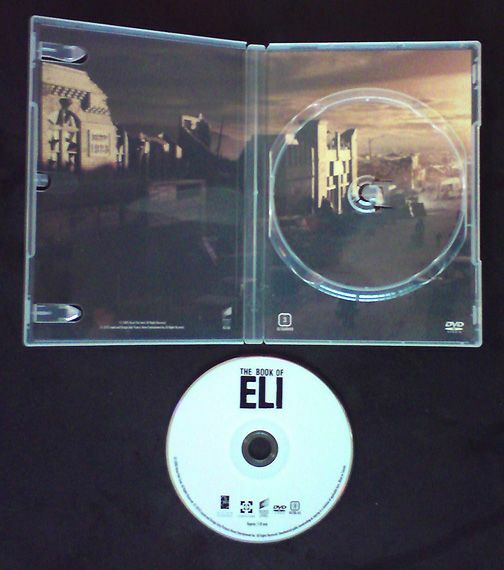 On the way, he meets Carnegie (Gary Oldman in his trademarked villain mode) who runs a water-rich town like a don and coincidentally has a strong interest in Eli's delivery package. Bloody carnage ensues. The movie is backed by a star-studded cast that includes Punisher No.3 Ray Stevenson, Dumbledore 2.0 Michael Gambon, the Flashdancing Jennifer Beals, That Seventies Showing Mila Kunis and A Clockwork Orangy Malcolm McDowell. The movie is pretty realistic in depicting a post-apocalyptic world, so people who like realism or some intelligence in their action diet would have little to complain here. I'm only not convinced by Kunis' virginal character, although there's a passable logic behind it. The action sequences obviously does not pass the realism test, but what's a junk food without a little MSG? Give Eli an arsenal from any era and he'll dispatch a roomful of stock henchmen with unexplained superhuman efficiency. The movie touches on the controversial topic of religion and actually has something interesting to say. There is also a Shyamalan-worthy end twist that gives you the urge to rewatch the movie, as you may have already heard from other movie critics. This is a solid sci-fi actioner that is definitely worth your time. 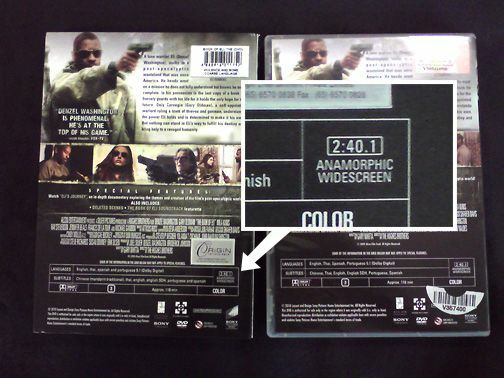 The cardboard slipcase is unnecessarily extravagant as it repeats the artwork on the DVD case and serve no other purpose except to protect the case. Ironic, considering the subject matter. There's a bleak but scenic spread that greets every opening. Less interesting is the disc artwork. Blessed art thy maker, who hath maketh thee anamorphic widescreen. All is right in the world. - The Book of Wei Lam, Chapter 2, Verse 40:1.